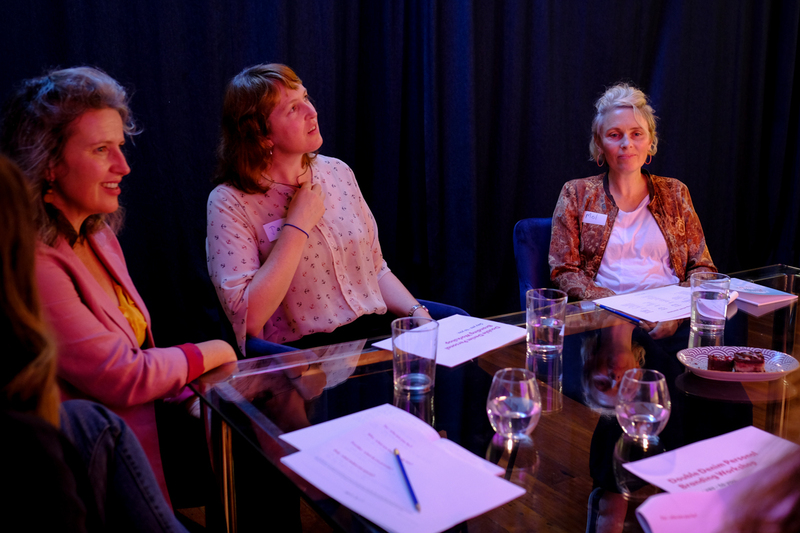 SAY YES TO YOU is just 6 months old, but our Friday afternoons spent doing this workshop are now a favourite part of the week here at Double Denim. That’s when we make the tea, get the snacks, and prepare to sit down with four or so incredible humans and support them to dig deep into what success really means to them. In our years of marketing and branding, we’ve found that the really good branding comes from a foundation of integrity and joy. When people speak about what they love from their heart — well, what’s more compelling than that? It’s like a magnetic force. Or a beacon calling in aligned people and opportunities. There’s real power in it. You might have had the experience of being uncomfortable at a slightly fake networking event, then happening on a person who isn’t selling anything at all, is just being themselves and talking about what they do from that assured, joyful place. Did you want to be part of it? Did you like them, want to connect with them and help them to succeed? Yeah, us too. That’s what we’re all about helping you find in our SAY YES TO YOU workshop. We make a safe, nourishing space, giving you heaps of support to explore what’s right for you in your own way. We all sit down and pretty soon the magic starts to happen —participants begin sharing their experiences. Maybe they’re feeling the bump of the glass ceiling; or navigating their way out of full-time parenting; or wanting to give themselves full permission to succeed, to be the boss, step into that big role; or maybe they’re in a job that pays the bills but bores them and they want to make a plan to get somewhere more fun. Friendships are forged and sighs of recognition are heard around the table. Then the laughs begin. Over the next three hours we do lots of sharing in pairs, and dig into understanding ourselves and what we want as deeply as we can. Once we’ve got heaps of great material, we put our personal branding on top of that, discovering the phrases and ways of describing what we love to do that feel natural, easy, honest and light a fire in others. By the end of the workshop participants have created their own positioning statements, plugging what they have discovered about themselves into formulas for describing their work. Sharing them out loud, there are heaps of laughs, encouragement, validation and support. Though it’s 6pm and the workshop is over, participants say they are just getting started, want to stick around and chat. Participants from these workshops have made ongoing connections and continue to support each other. 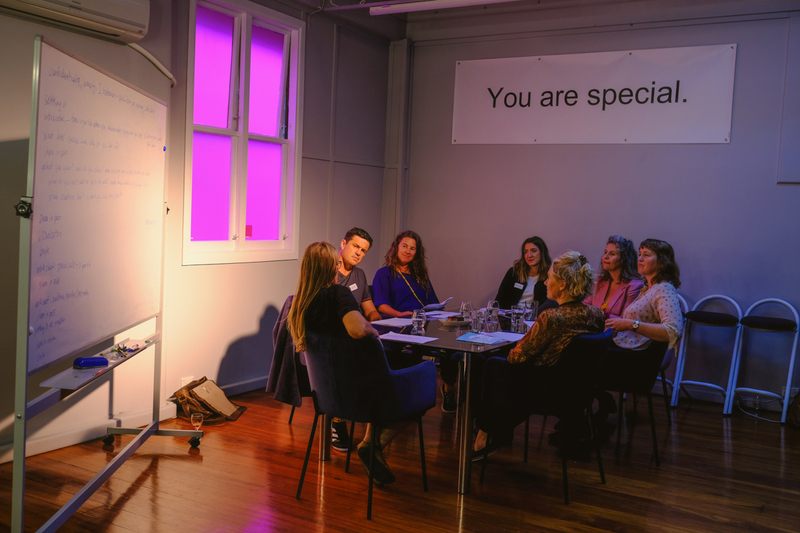 In feedback from participants after the workshop, they often tell us that when they worked on their personal branding on their own they just went round and round inside their own head, but something transformative happened when they worked in a group, hearing from others and being heard. One let go of her four-year-long writer’s block and started blogging. One decided to move cities because it she realised it’s more aligned with what she wants for her career. One realised she was content in her work life and renegotiated her contract. One began to make a long held dream for her own creative endeavour a reality. One realised it was OK to give herself proper time to heal before she moved forward. One realised her strength was in her ability to be in the moment and open to the mystery. One decided to run for office. One began to take her already flourishing business to a global level. Really good branding comes from truth, passion and joy. People who speak about what they love doing from their integrity and heart are irresistible. We use visualisation as a tool to help us deepen and have more powerful results. In order to allow ourselves to be surprised, we focus on what it feels like when we get there, rather than specific, concrete outcomes. This comes from scientifically backed-up testing of visualisation work and the proven outcomes for people who go into specific detail to feel what it’s like when they get where they’re going. Branding has two main parts: knowing yourself and knowing your audience. In this workshop we focus on knowing yourself. 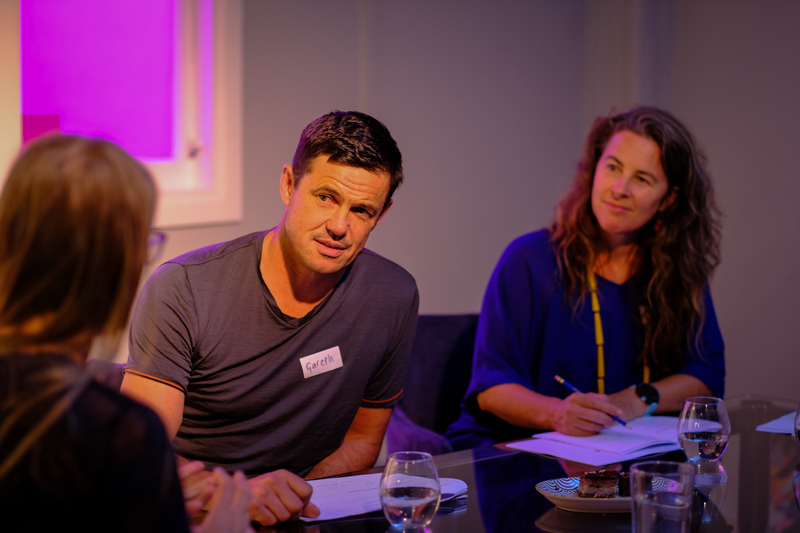 In order to keep the space really safe, at the start of the workshop we agree together on the level of confidentiality that truly works for everyone. Please feel free to release yourself from any notion or expectation to doing what you’re meant to do in a personal branding workshop. Please feel free to just truly be yourself and be honest. If it helps you, please feel free to use I statements, eg. “I feel annoyed when another driver cuts me off” rather than, “You know when you get cut off and you feel annoyed.” It generally makes the experience more powerful, and you’ll be owning your own experience more fully. In order to support each person to find their own unique path, please refrain from giving others advice. And if you’re hearing something that feels like advice from anyone, please feel free to ask them to stop or keep it for later. Though advice can be helpful, it’s generally only helpful when the person wants to receive it and is ready to hear.